As a digital artist or designer, receiving feedback or ensuring visibility for your work is crucial. Setting up your own online portfolio is an option, but then there’s the problem of driving traffic to it. 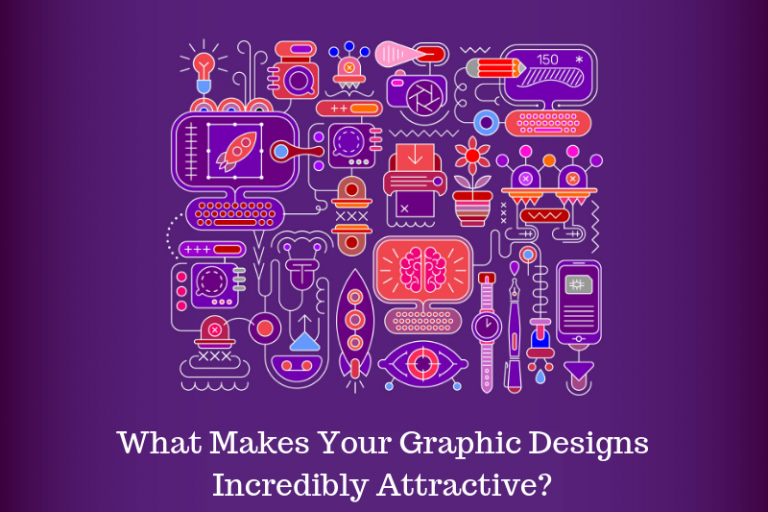 So before you get there, you can showcase your work alongside fellow designers on websites created especially with this purpose. 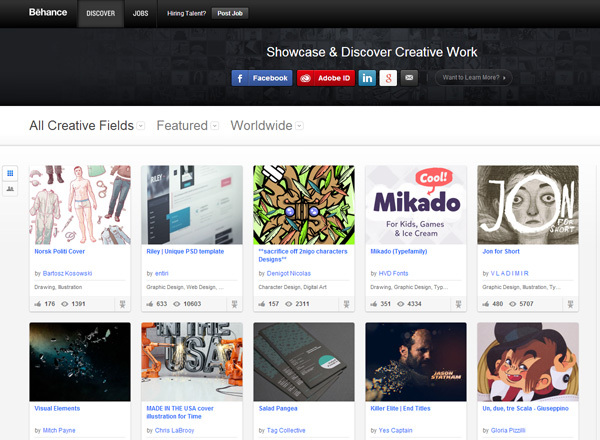 Behance is one of the leading online platforms to showcase and discover creative work and a unique business unit within the Adobe Family. They strive to remove the barriers between talent and opportunity and attract millions of visitors per month. They also distribute work to other online galleries, like Illustration Served, Branding Served, Web Design Served and other, maximizing the exposure of your art. Behance syncs with ProSite, a fully customizable personal portfolio site builder and believe that “great work should spread efficiently across the globe, gaining the exposure it deserves”. Dribbble is a community of web designers, graphic designers, illustrators, icon artists, typographers, logo designers, and other creative types share small screenshots (shots) that show their work, process, and current projects. It’s a place to show and tell, promote, discover, and explore design. 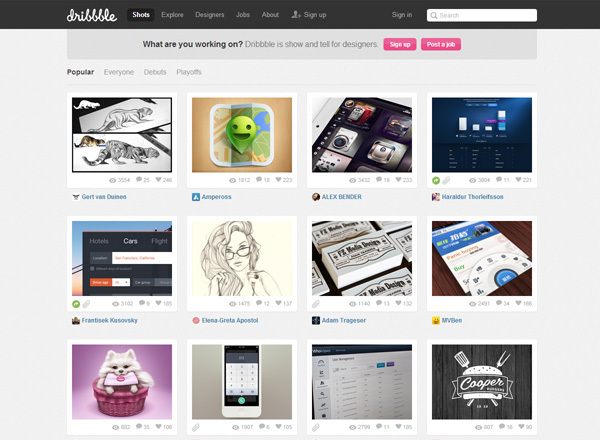 Headquartered in Salem, Massachusetts, Dribbble began as a side project and is now a tiny, bootstrapped and profitable company helping the world’s design talent share their creations and get hired. Dribbble has become a go-to resource for discovering and connecting with designers around the globe. The name Zerply derives from the words “serious play”. What started with an idea between two old friends, is now the vision of a worldwide team, representing Sweden, Estonia, UK, Czech Republic, USA and Russia. Launched in June of 2011, it presents today professionals across a huge variety of industries, connecting them from all corners of the globe. 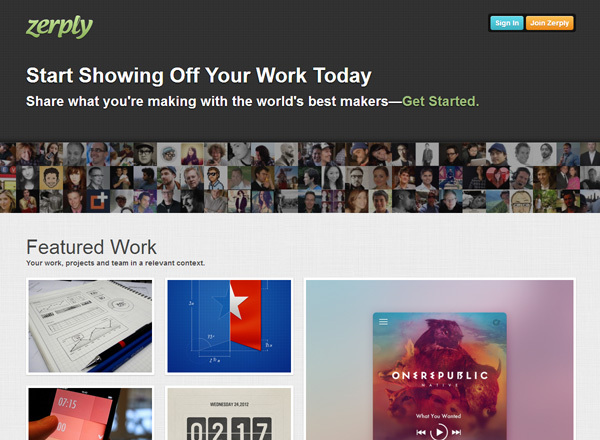 Zerply lets designers, developers, and other creative workers share images of what they’re working on and has paying customers like AirBnB, Kickstarter, Voxer, Rdio, Etsy and others. 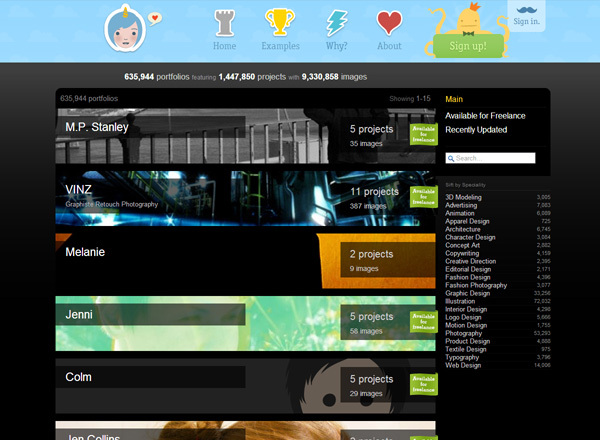 deviantART was created to entertain, inspire, and empower the artist in all of us. Founded in August 2000, it is one of the largest online social network for artists and art enthusiasts with over 26 million registered members, attracting 65 million unique visitors per month. 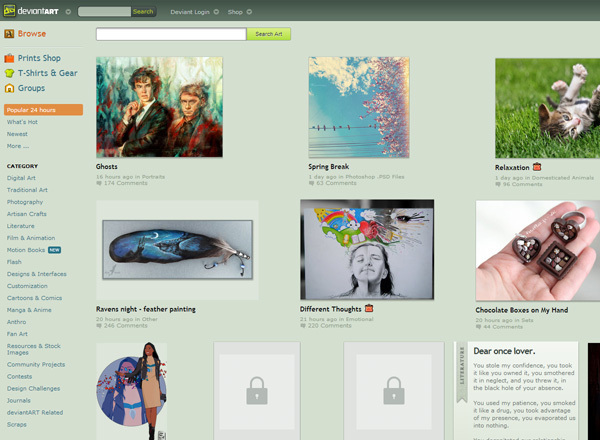 As a community destination, deviantART is a platform that allows emerging and established artists to exhibit, promote, and share their works within a peer community dedicated to the arts. The site’s vibrant social network environment receives over 160,000 daily uploads of original art works ranging from traditional media, such as painting and sculpture, to digital art, pixel art, films and anime. 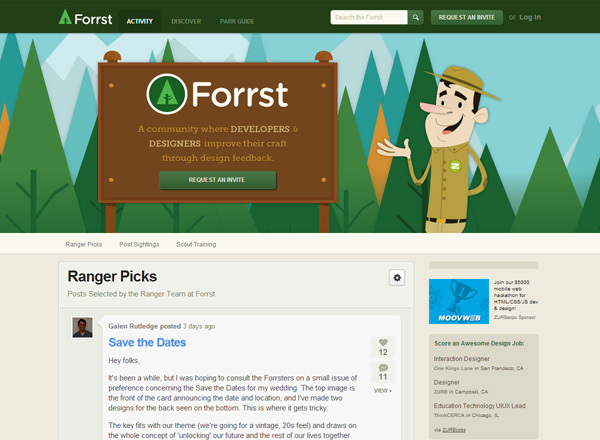 Forrst is a community where designers, engineers and developers can share their work and get the feedback they need. They can learn from each other what it means to give feedback and give it effectively. All with the goal of getting better at their craft. Their goals are to listen, participate and foster a healthy design community; to build the design community’s involvement on Forrst; to position the community around quality and actionable design feedback. 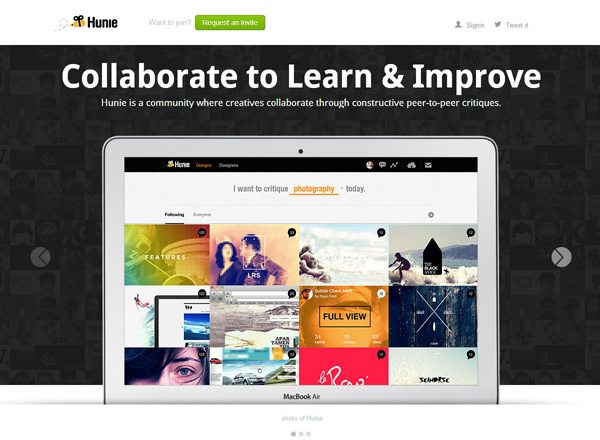 Hunie is a community where creatives collaborate through constructive peer-to-peer critiques. Design is a collaborative process and takes two to tango. Here you tango with more than two to improve your work. They encourage you to give constructive critiques that go beyond the usual, ‘wow, that’s cool’ type of comments. Engage with peers beyond follows, likes and views. Engage through meaningful critiques and collaboration. 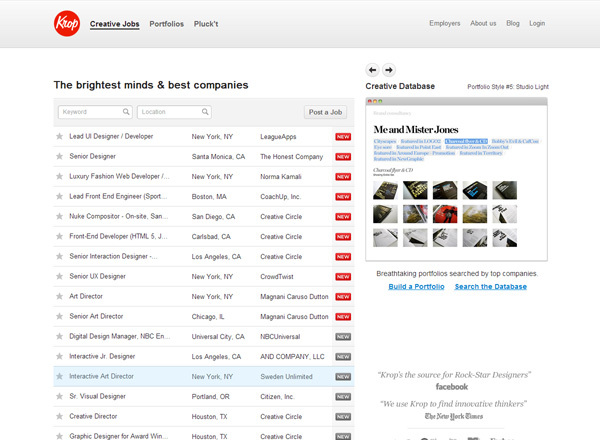 Moreover, you can get feedback on your work from creatives at Everest, Pivotshare, Twitter, Facebook, Kickfolio and more. 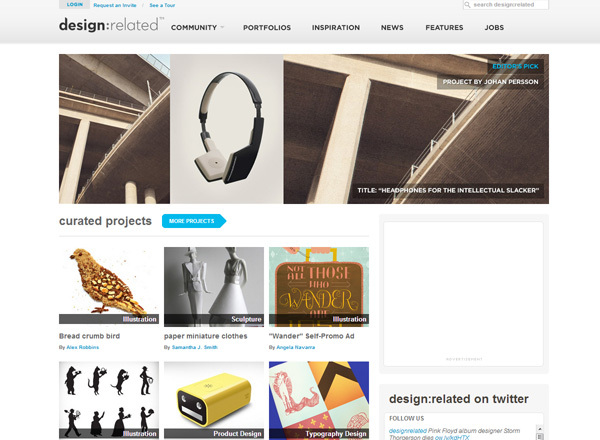 The design:related™ project started in 2006. They are a community site with portfolio, inspiration, and news tools that brings together creative people from different disciplines (and parts) of the design and art world. The design:related community serves to motivate designers and creatives to share their work and visual ideas, network and collaborate with other creatives, and find job opportunities. 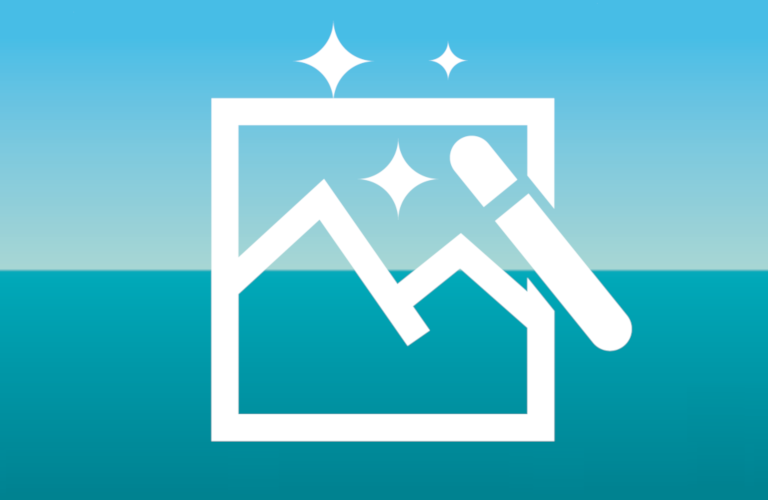 Since launching in 1997, Coroflot has grown to host over 2 million images with over 150,000 new projects published every month from professionals and students of nearly every country on earth. They promote and celebrate the work of dozens of design disciplines, including industrial, fashion, 3D modeling, architecture, illustration, graphic, UX and many more. They strive to provide the space and opportunity for creative professionals and hiring companies to find each other, whether you are looking for creative advice, professional exposure, your next design job or your next design hire. 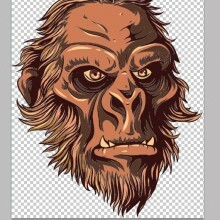 Carbonmade was founded in December 2005 by an illustrator and a programmer, who wanted to create an easy and inexpensive way for designers to post their work online. Even though it was originally meant as a tool to make life easier for fellow designers, its popularity grew across the years and rather than keep it to themselves, they opened it up for everyone. In 2007, they switched their focus to Carbonmade full time – not a bad idea, because it’s now home to over 500,000 portfolios and an ever-growing team of talented artists. 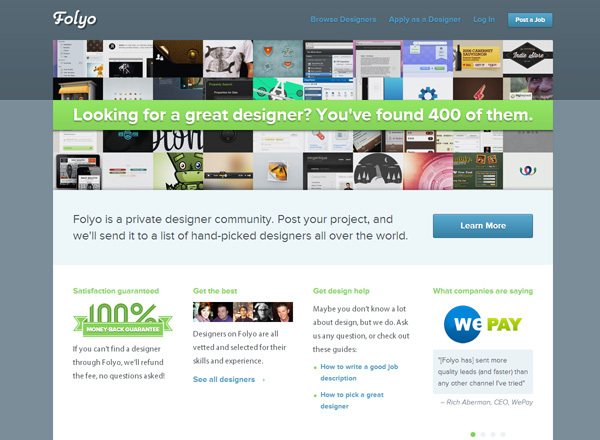 Folyo started out as a simple newsletter of job offers and after a couple months of maintaining this service, and getting great feedback from both designers and companies, its founder decided the concept was worth exploring further, and so he built Folyo. 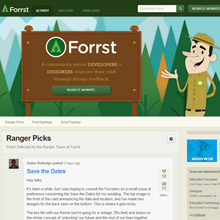 Unlike a stand-alone newsletter, it also gives clients a central place where they can manage designer’s replies. What’s more, having stats on who has replied means that it can also guarantee a minimum number of replies. 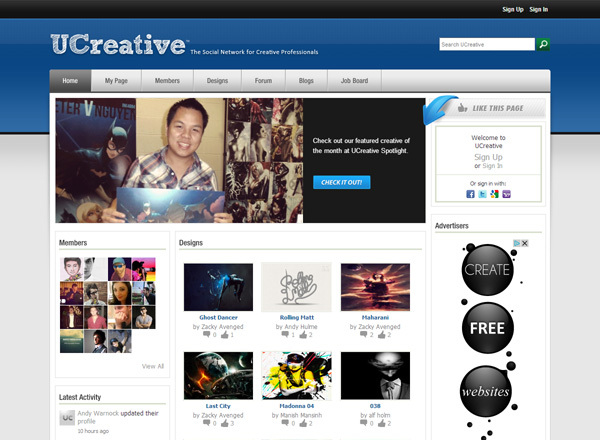 The UCreative network was designed in the hope to bring artists and designers together. Whatever area of expertise you’re in, you can find here the right group of people with whom you can share your ideas, ask for help or give advice, or simply share your thoughts and showcase your craft. Feel free to share your thoughts, may that be through a personal message, a forum post or a blog post. Whichever way is convenient for you. 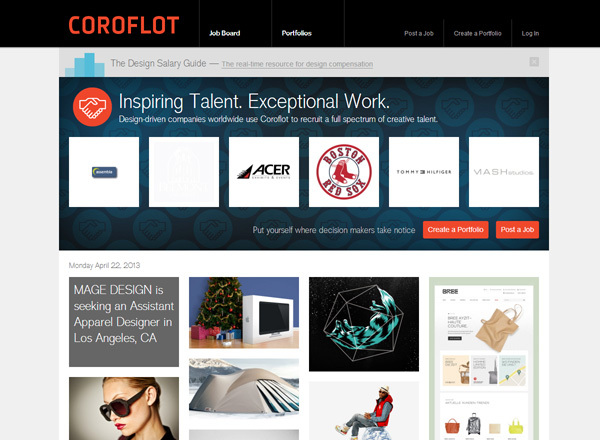 Krop is a job board for the creative industry and a portfolio hosting website used by the most talented candidates at all experience levels, and the globe’s most respected creative brands. 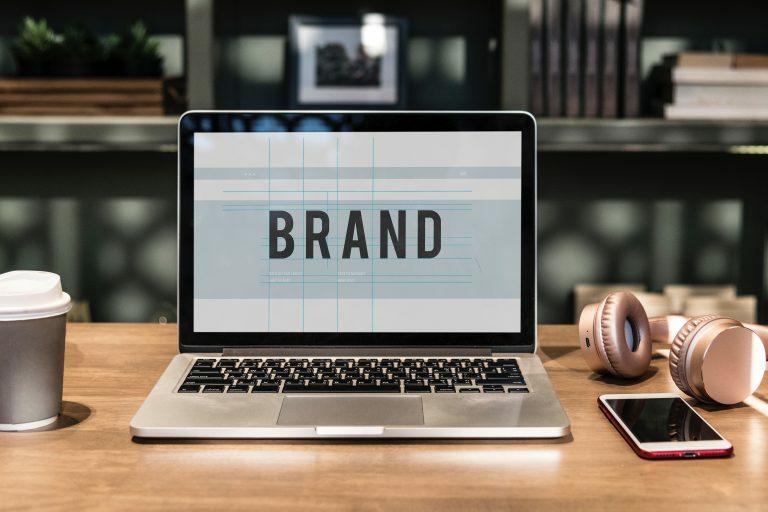 They have worked with the likes of Barack Obama, GUCCI, Apple, Forbes, Nike, Google, Guggenheim Museum, Yahoo!, Facebook, Martha Stewart Living – Omnimedia, Motorola, ABC News and many more. 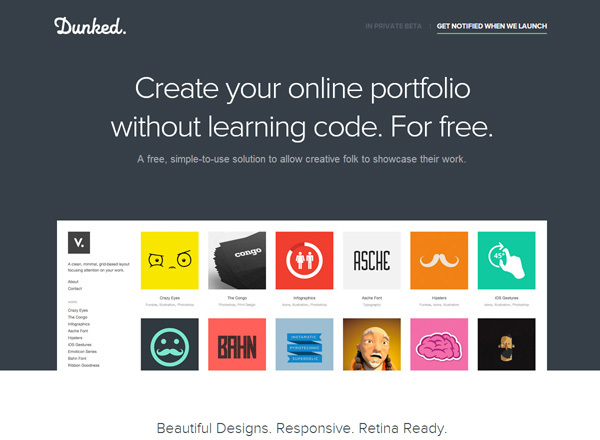 Dunked is an easy way to create and maintain an online portfolio. If you need to showcase your work but are tight on time, or don’t have the skills to roll your own site, then Dunked is for you. They allow you to create a site, upload your images, embed your video or audio, choose a beautiful retina-enabled responsive template, pull a few levers to customise the look to suit your own tastes and press that publish button. All without touching a line of code, unless you want to. And they host it for you, for free. Moreover, one of its founders is Orman Clark, the third theme developer to reach one million dollars of sales on Theme Forest. Just saying. 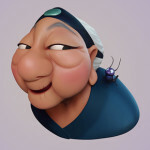 Hi Andra, great collection you’ve put together. If I must be honest I haven’t heard of half of them. Definitely going to try some out. Great Collection. Thx for sharing! I am a graphic designer, and I was looking for a place where I could put my designs, but now I can put my designs at 13 different websites. thanks!